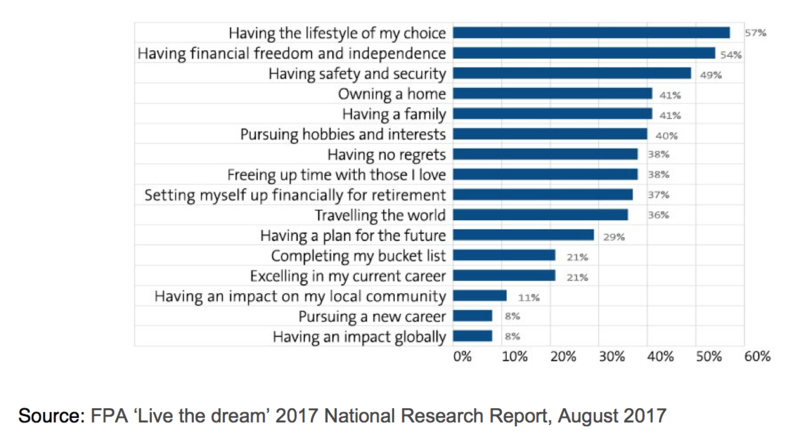 Recent research from the Financial Planning Association of Australia indicates that Australians enjoy dreaming about their future and believe in their ability to create the life they want, but only 23% believe that they are living the dream. The report suggests that the people most likely to be living the dream are also those who are most likely to use a financial planner. Nearly half (45%) of those living the dream are currently receiving or have received advice from a financial adviser, compared to 22% of those not living the dream. According to the English Oxford Living Dictionaries live the dream is to ‘have a lifestyle that is perceived as wonderful or perfect’. The absolute perfection is something we are not likely to achieve in this life, as the perfection goalposts are likely to keep changing over time. At the same time, having a lifestyle that can be described as ‘wonderful’ is something that could be within our reach. So, what does this ‘wonderful’ life look like? Financial goals are the most popular life goals for Australians, followed by personal, relationship and careers. 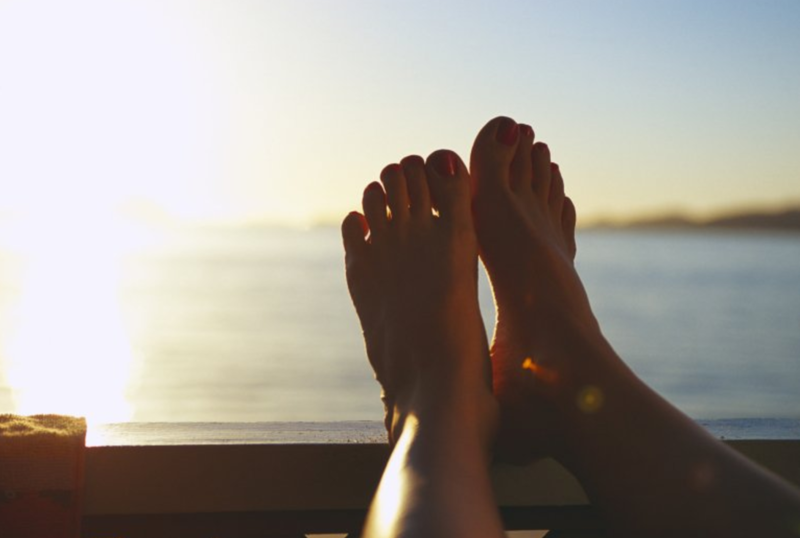 Australians desire the lifestyle of their choice, underpinned by financial freedom and security for their family, followed by owning a home, pursuing hobbies and spending time with those they love. Interestingly, the research also suggests that not having enough money is the main reason people do not seek advice from a financial planner. This is likely to be based on a fundamental misunderstanding of what financial planners do, with the perception that financial planning is only about investing. Investing is really only a small part of financial planning and its value lies in doing a whole range of other things like helping to budget and save, assistance with identifying goals or dealing with Centrelink on the clients’ behalf. The research also shows that 80% of working-age Australians are stressed about money and finances, with 1 in 4 indicating acute stress levels, and reducing this stress level through financial education is one of the jobs of a financial planner.